Are you looking for the gastric sleeve in Los Angeles? Here at Dr. Feiz & Associates, Dr. Michael Feiz, M.D., FACS offers micro sleeve surgery, an advanced technique that offers all the same benefits as laparoscopic sleeve gastrectomy, but with significantly less cutting. In fact, using the advanced STARR Treatment, Dr. Feiz is able to perform the gastric sleeve in Los Angeles with ONLY A SINGLE INCISION. With a faster recovery period, less post-operative discomfort, and virtually no scarring, Dr. Feiz’s approach to the gastric sleeve in Los Angeles is quickly becoming a popular alternative to traditional gastric sleeve surgery. 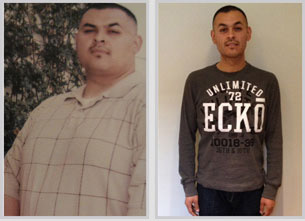 Dr. Feiz has been performing the gastric sleeve in Los Angeles for many years. With multiple locations, including Beverly Hills, Huntington Beach, Thousand Oaks, Oxnard, and more, Dr. Feiz & Associates makes it convenient and hassle-free for interested parties to schedule a FREE initial consultation or FREE informational seminar. It is essential for prospective patients to be fully informed about the potential benefits and risks of any weight loss procedure, and Dr. Feiz believes strongly that an open and honest dialogue between doctor and patient – from the very beginning – is the only way to wisely arrive at the best course of action for anyone interested in bariatric surgery. Not every individual is going to be an ideal candidate for every kind of weight loss surgery. Only by conferring with Dr. Feiz about your current health condition, and your hopes and expectations for change, can the two of you work toward a viable path to weight loss.